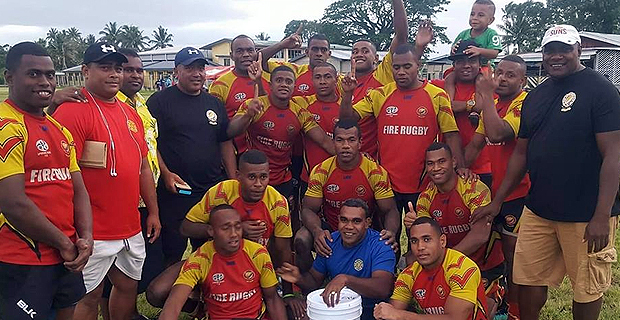 The weather was a challenging factor for the National Fire Authority 7s team as they prepare for the McDonald’s Fiji’s Coral coast 7s. Team Manager Akuila Nasi says that preparations have been going well but due to the recent weather conditions, they had trouble holding their training sessions. Nasi says they had started their training program last November and with a young team and they aim to learn from the other big sides. He adds that they expect a tough challenge as they will be playing against some of the best teams in the country. 42 teams will be participating in the tournament which includes 16 men’s, 10 women’s and 16 youth teams. The 4 day 7s tournament will take place from the 16th to the 19th of this month at Lawaqa Park. The Shangri-la Fiji Youth Competition will be held from the 16th to the 17th, the Outrigger Women’s Competition will be held on the 17th to the 18th while the main Men’s competition will be held on the 18th and 19th. Former Springbok and Webb Ellis Cup winner Bryan Habana is the Tournament Ambassador this year.